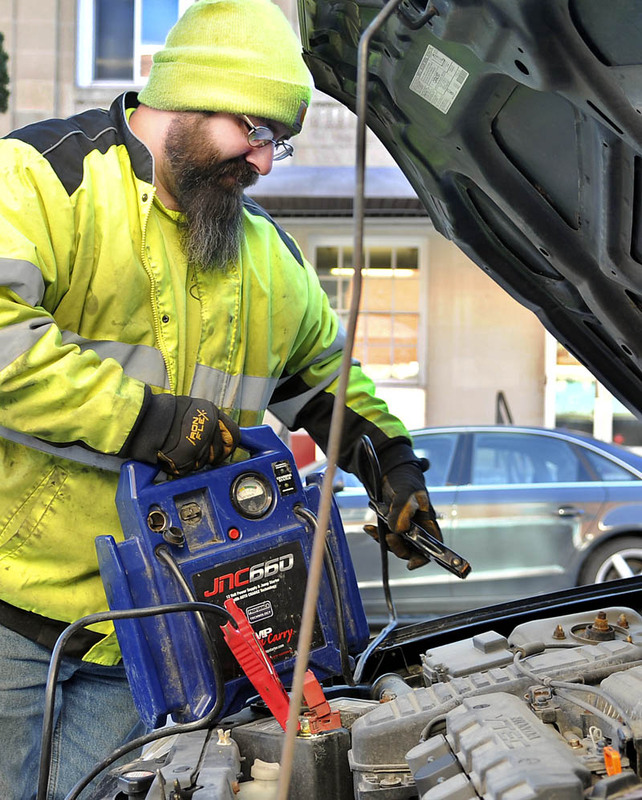 Greg Tisdale, of AC Towing in West Gardiner, jump starts a car Wednesday on Water Street in Gardiner amid single digit temperatures. "It's real busy," Tisdale said. "Over a dozen jump starts and tire changes today."